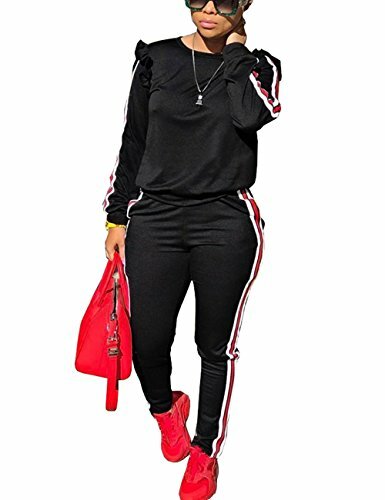 Akmipoem Women's 2 Piece Outfits Round Neck Pullover Tops and Long Pants Sweatsuits Set Tracksuits. The unique design making you get more attention,making you more fashion, vibrant when you wear,you won't missing it. 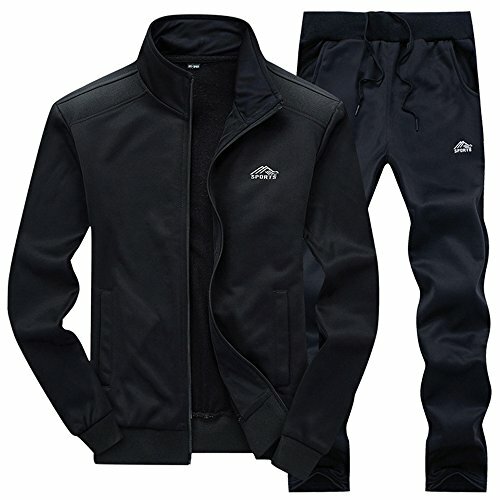 Soft fabric ,It is very comfortable and warmly. Pattern: White and red stripes patchwork. Occasion: Fall,Winter,Spring. Washing:Machine or hand wash with cold water,Do not bleach.Hang to dry. 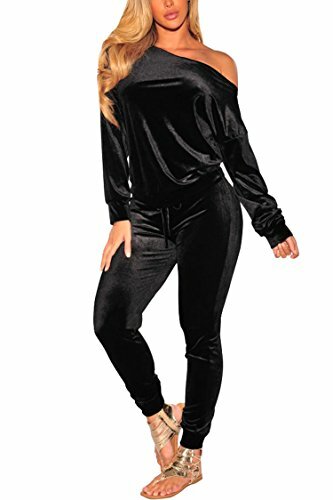 Package included: 1 X Women Sweatshirt and 1 X Women Sweat pants Size Chart: Small (US 4-6): Bust: 35.4"--- Waist: 26.7"--- Hip: 39.3" --- Top Length:24.4"--- Pants Length: 40.1" Medium (US 8-10): Bust: 37.0"--- Waist: 28.3"--- Hip: 40.9" --- Top Length:24.8"--- Pants Length: 40.3" Large (US 12): Bust: 38.5"--- Waist: 29.9"--- Hip: 42.5" --- Top Length:25.2"--- Pants Length: 40.5" X-Large (US 14): Bust: 40.1"--- Waist: 31.5"--- Hip: 44.1" --- Top Length:25.6"--- Pants Length: 40.7" 1) Please check the size chart in the Product Description before ordering, Allow 1-2cm error due to the manual measurement. 2) Due to differences between monitor displays,The actual color may vary slightly from the images. 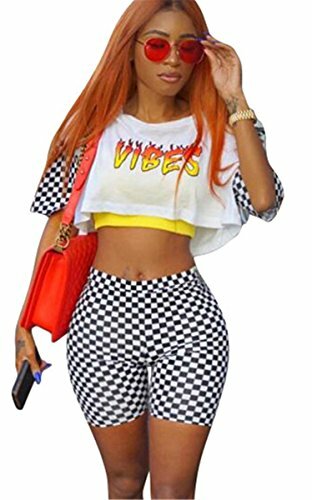 Click on "Akmipoem" brand name above Title for more BEAUTIFUL STYLE! COLORS 888 - 2LINESET - (PLEASE ORDER ONE SIZE UP FROM NORMAL) Smooth and shiny material. 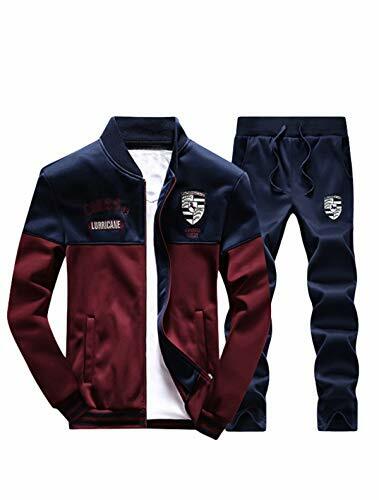 2 Side Jacket pockets 3 Pants pockets.COLORS 422 - 477 - (PLEASE ORDER ONE SIZE UP FROM NORMAL) Smooth and shiny material. 2 Zippered side jacket pockets. 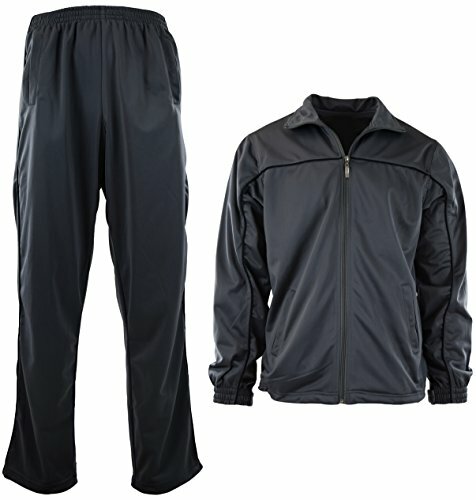 2 Zippered pants pockets. (Chest zipper does not work)COLOR 212 - MTC SET - (PLEASE ORDER YOUR NORMAL SIZE) Smooth and shiny material. 2 jacket pockets. 2 Side pants pockets. 1 Zippered back pocket. Adjustable straps and strings at the wrist and ankle. 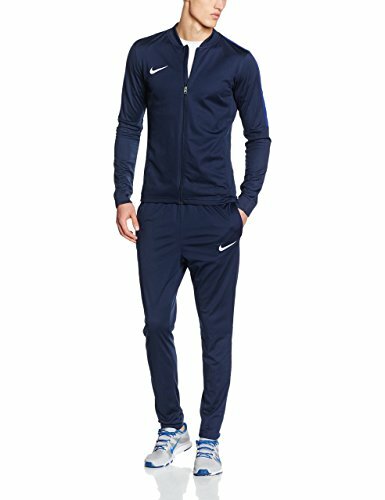 (COLOR MTC does not have adjustable straps and strings and back a pocket)COLOR 510 is sweater material (PLEASE ORDER ONE SIZE UP) COLOR 201 is nylon windbreaker material (PLEASE ORDER YOUR NORMAL SIZE)100% MONEY BACK GUARANTEE - Doesnt fit? Style not as expected? No Problem...we offer free returns, no questions asked. 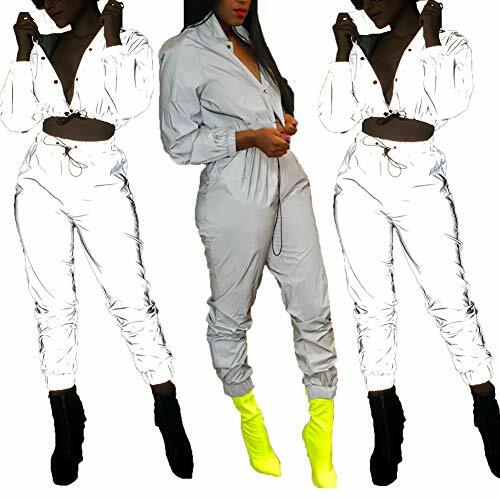 This 2 piece outfits combines several fashion elements,Button closure,Reflective and pocket make this tracksuit more cool and fashion. 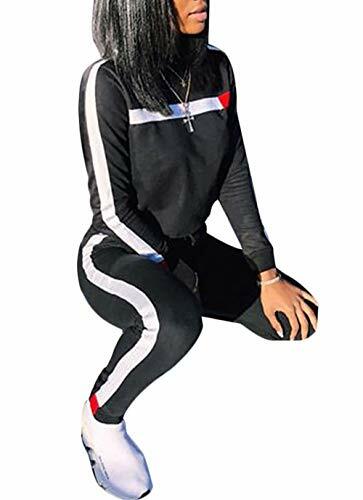 Item description: Material: Polyester + Reflective cloth Size：S、M、L、XL Neck: Button V-neck Sleeves: long sleeve Pattern: Solid color with Reflective Decoration：Clubwear Long Sleeve 2 piece outfits tracksuit set Season: spring,summer,autumn and winter About Size and Color: The color of the product may cause chromatic aberration due to different display screens, settings, and lighting conditions. If you are not sure which size to select, please contact us and we will help you solve the problem. About customer service: Thank you for your attention, your satisfaction is very important to us, if you have any questions, please feel free to contact us, we are always waiting to serve you.